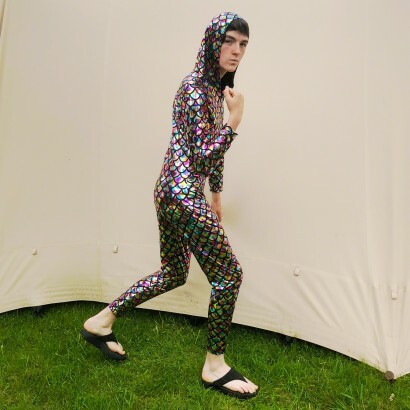 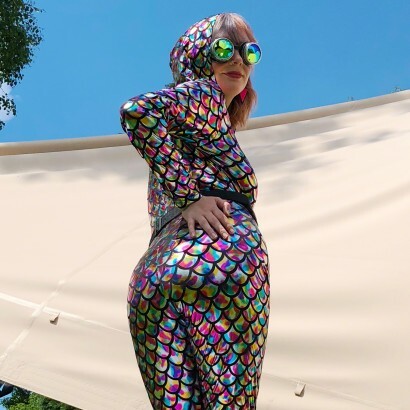 Solve your festival style conundrum in one easy step with the incredible metallic rainbow hooded cat suit! 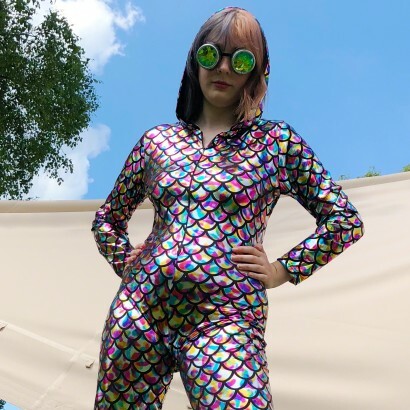 Slip into this metallic cat suit for stand out looks that will not only keep you covered when late evening acts play but will also add some serious shimmering style to your look! 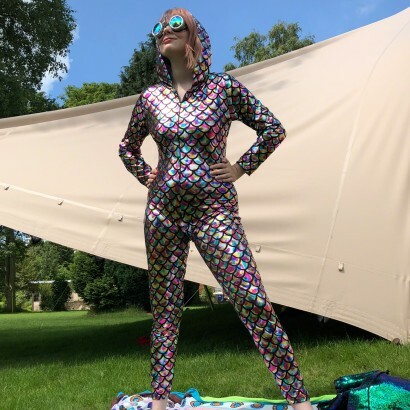 The colourful design really comes to life in sunlight or under party lighting as the light dances over the metallic surface for stunning rainbow effects that will shine as long as you do!